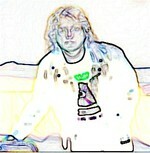 Sign up for Broadjam today to follow Mitch Schecter, and be notified when they upload new stuff or update their news! 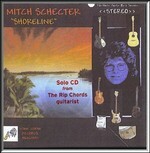 "Wanted" from the CD, "WANTED"
"The Lonely Dragstrip" from the CD, "SHORELINE"
Mitch Schecter is the Guitarist in "The Rip Chords"
He is also a Multi Instrumentalist. He plays Guitar, Drums, Bass, and assorted other Instruments. He is also an Independent Music Producer, and has worked with a number of artists on studio & songwriting projects. 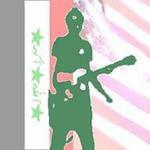 He has three solo CD's released, "SHORELINE", "WANTED" & COOL", where he played all of the Instruments. 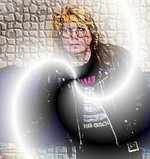 Mitch also played on and produced two CD's by "The Rip Chords"...""Shut 'Em Down Again" & "The Rip Chords...Now! "and has written many songs with his wife, Amy,which can be heard on three "Mitch'n'Amy" CD's, "Things Left Undone", "Attitunes" & "Collections". Look for Mitch on tour this Fall/Winter with "The Rip Chords"